So, at the end of September, I logged in on NetGalley for the first time in ages. This is a website that lets you read books before they are published in exchange for an honest review. Like I said, I hadn’t been on the website for ages but I had been told that Dodie Clark’s book was there and I requested it. I was accepted to review it (thank you Atria Books for sending the e-book to me) and so I read it at the beginning of October on my commutes to uni. Dodie Clark, doddleoddle, or just dodie, is a musician and YouTuber. Now, I know what you are thinking: ‘this is just another YouTuber book, ew, why’, but trust me, push that thought away. Dodie’s book is good. 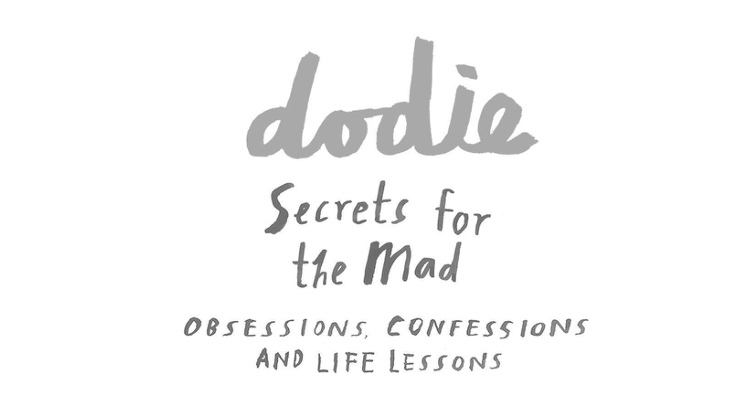 Dodie writes a series of essays about a variety of topics: from mental health to personal life struggles to relationships, and more. Each of these pieces of writing is unique and beautifully written, endearing but also heart-breaking at times. I’ve dealt with mental issues for years, which is why I’m always interested to read more about how other people cope with their own struggles. Join this with the fact that I watch Dodie's videos and listen to her songs and you get why I wanted to read Dodie’s book. I love how honest and genuine she always is so I thought this book would reflect that as well, and it did. It honestly is as if you’re watching one of her videos where she is always real and honest. I admire her, she struggles with mental health and is brave enough to share it with the world. She is great with words and expressing emotions whether it is by a song or by a piece of writing or just talking. She is a wonderful human being. Honestly, I had the pleasure of meeting her in April at VidconEurope and she was so nice and sweet to me. I even gave her my drawing of her and she told me it was the first time someone had painted her with her la la land tattoo. Back to the book, I love the wide range of topics she talks about but again, my favourite bits were the ones in which she talked about how to cope with mental health issues. It’s important to raise awareness about mental health and stop the stigma around it and she contributes to that with the book. This book will give you hope and if you also struggle with mental health it will reassure you that you are not alone and that things will get better. You just have to keep pushing. Now, I already knew most of the things Dodie talks about in her book because she’s talked about them before in videos or Instagram posts but I think it’s still worth the read as she talks more in-depth about them. And there were still many things you wouldn't know if it weren't for the book. I appreciate that she talked about all these things despite them being hard topics to write about, especially knowing a lot of people would read them. I also love the format of the book. 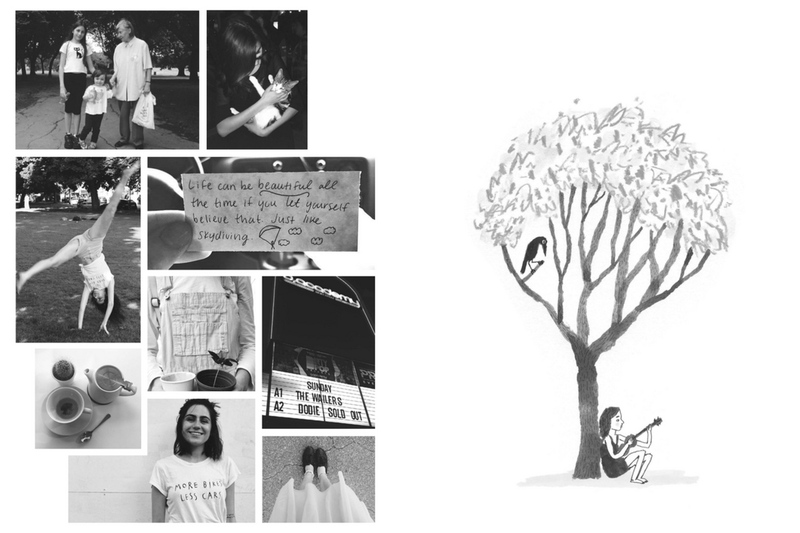 Along with the pieces of writing, you can find photographs, drawings, and Dodie’s own beautiful songs. I feel this would be better in the actual paper format of the book than with the egalley version because you’d be able to understand everything better. I just think paper versions are always better than the digitals. Overall, “Secrets for the mad” is a good book and I do recommend it. It’s not perfect (but honestly, what is?) and there are moments stronger than others but it’s still a book worth reading. It can be a good companion for your commute but it’s also one of those books that you can pick up, read a chapter or two, put it down and pick it back up whenever. Lastly, I would like to thank Dodie for sharing these stories, because it’s incredibly brave to share your own struggles with the world. Will you read dodie's book? Do you watch her videos/listen to her music?